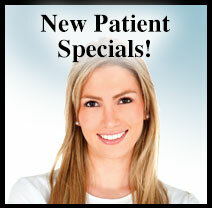 Adult dental care, in Las Cruces NM, including treatment for sleep apnea or TMJ, cleanings, exams! Having your bite in correct alignment can relieve headaches, painful jaw joints, shoulder pain, and neck pain. There are various reasons for a malocclusion (improper bite). Teeth may have ground down, or injury or disease may have occurred. When your jaw does not move or rest in the position nature intended, stress and tension is put on the joint and muscles. This causes the pain that you may have become accustomed to living with. But we have techniques to restore your bite to its proper position that will relieve most or all of the discomfort you experience. Come into our office to let us discuss what we can do for you. Advancements in dentistry have produced an oral appliance that works wonders in the prevention of moderate to severe headaches. The FDA-approved NTI™ or other anterior bite splint devices are alternatives to taking medication to prevent or relieve headaches. The NTI device works by relaxing muscles surrounding the scalp. Positive results have occurred for most users, either eliminating the onset of pain or relieving it. This is a very effective and affordable alternative to drugs. As our bodies age, they show signs of our advanced years. Fillings may loosen and teeth may be fractured, allowing decay to begin. If regular cleanings have not been kept up, plaque and tartar are often coating the teeth, which contributes to decay. It can also cause gum disease. Certain medications can reduce the flow of saliva through the mouth, which is necessary for good oral health. Teeth are often stained from caffeine and tobacco consumption. We can remedy these problems to return teeth to a better state and a more attractive smile. Regular check-ups, good nutrition, and proper daily hygiene are the key to keeping your natural teeth intact and healthy for a lifetime. If your gums ever start to bleed from brushing or flossing, please call us immediately. Dental health has more far-reaching effects on your overall health than you may be aware of. There is a connection between gum disease and the ability to control blood sugar levels. If left untreated, your gum disease increases the problems with your diabetes, and the diabetes worsens your gum infections. Not all dentists are trained to help patients with this problem. Our doctors have received the specialized training for diabetics or borderline diabetics. You will receive the care you need with the compassionate manner you would want to be treated. We are never judgmental to your health problems, only helpful for your best well-being. If you have been told your breathing is interrupted during your sleep, or you snore excessively at night, you may have a condition known as sleep apnea. The usual medical treatment for these symptoms is the CPAP device while sleeping. It is a machine that pumps air into a mask worn over the nose and mouth. It remedies irregular breathing by providing a continual flow of air into the lungs. Although it solves the breathing problem, it is uncomfortable to wear and can create another problem – the user stops wearing it. 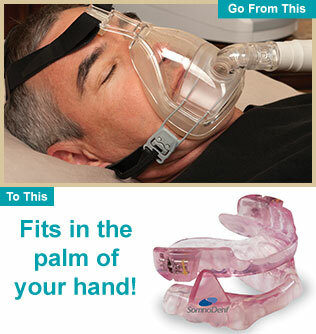 We offer an alternative device that is easy to use, comfortable to wear, and very effective in relieving sleep apnea and snoring. It is a small, acrylic device that works by realigning your tongue and jaw to keep your air passage open, providing even and continual breathing throughout your sleep. Patients have experienced a 90% success rate and are pleased how easy this device is to insert, remove, and clean. Obtain the benefits of a good night's sleep for you and your partner by giving us a call today. If it's time for your next cleaning, or if you're ready to schedule a no cost/no obligation consultation, call us now at (575) 522-1983.